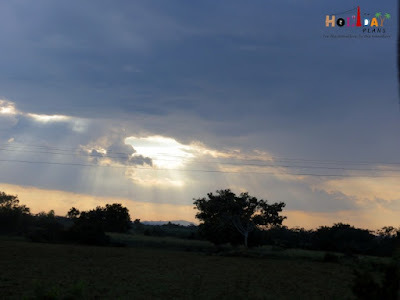 Our journey to Mysuru (Mysore) from Bangaluru (Bangalore, Karnataka, India) started with a zeast to explore the offbeat and popular hotspots. The six of us were ready to traverse Bengaluru, Mysuru and Ooty for next one week. We packed our bags and loaded them in Eeco (our cab for the journey). Soon we were on NH 275, 4-lane highway that gives you a pleasure ride to Mysuru. Bangaluru to Mysuru is only 150 km long journey which would take less than 4 hours. But we had planned to visit some places enroute, so we actually travelled much more than that. The first point we passed was about 55 km away- Ramanagara, the popular village known for the movie Sholay which was shot here. The place is also famous amongst adrenaline junkies especially for rock climbing and rappelling. It is popular with people in Bangalore for one –day weekend getaways especially for corporate ones. 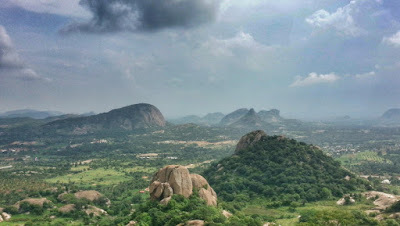 The next point we passed was Mandya – about 50 km from Ramanagara. 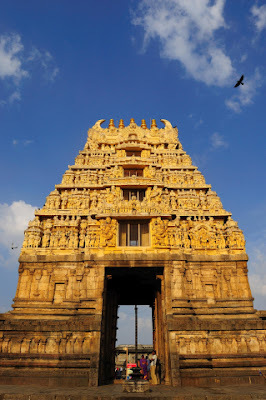 Although we didn’t stop here, our driver told that the places is famous for Rangnathittu Bird Sanctuary and mortal remains of Tipu Sultan at Ganjam. Shivanasamudra, a small town in Mandya district about 58 kms away from Mandya was our next stop. 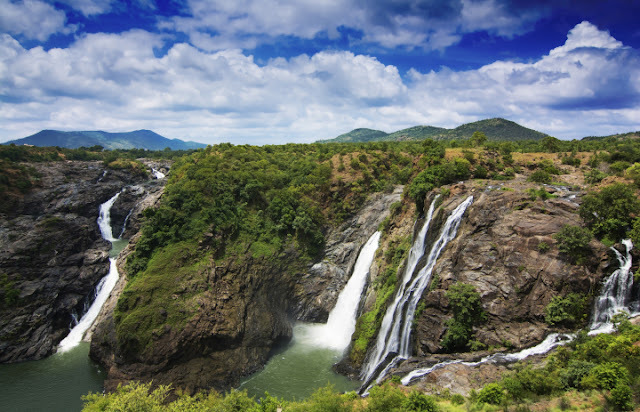 Situated on the banks of river Kaveri, Shivanasamudra Falls, second highest waterfall in India was on our list of places to visit. The location is also famous for one of the first Hydro-electric Power stations in India. The first view of waterfalls will make you admire the beauty of this place. Tourists are allowed to go till the Sivasamudram Watch Tower – the last point along the stairs to watch the falls. You will find a lot of monkeys playing here. Gaganchukki and Bharachukki waterfals are the two different parts of these falls. A common misconception about these waterfalls are that the left segment is called Gaganachukki and the right segment is called Bharachukki. In reality the Bharachukki falls are a few kilometers to the south-west of the Gaganachukki falls. We captured some digital memories in the beautiful background. After having some snacks (boiled corns, bhelpuri, jamun etc.) we left the place. We had spent a good amount of time here. Mysuru was still 90 kms from here. The weather was like awesome and especially at the time of sunset you will be mesmerised by the view in the sky. The next stop was The Ranganthaswamy temple in Srirangapatina in the Mandya district only. 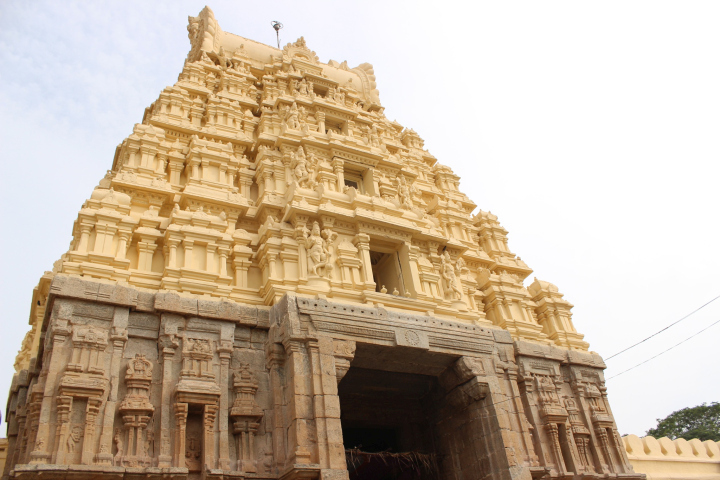 The temple is dedicated to Hindu god Ranganatha, a manifestation of god Vishnu. It was dark when we reached the temple. The temple was crowded enough with long queues for the darshan. After the darshan, we had some local snacks at shops adjacent to temple. Although we didn’t remember the name of the item we ate, but it was one of the best we had eaten so far. (Attaching some pics from internet to give you a glimpse of the temple in daylight). Mysuru was now just 20 kms away. 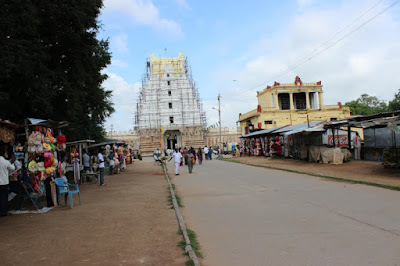 As soon as we entered the Mysuru city, we were stuck in a heavy traffic jam due to the festive season. The whole city was decorated with lights. We had never seen something like that. 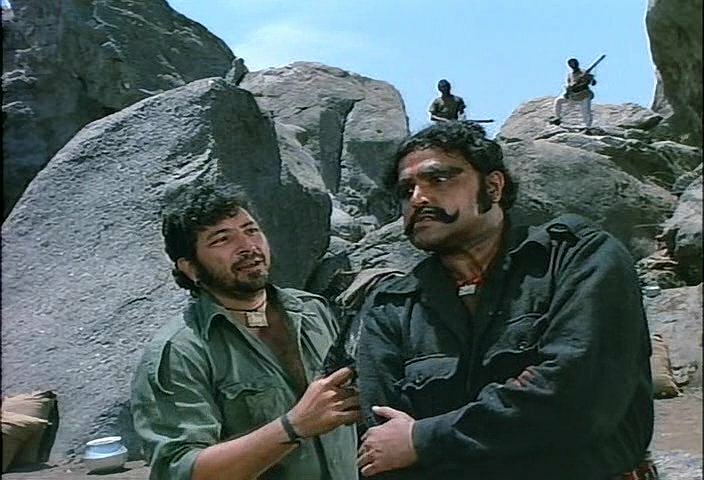 Even Delhi is also not so much decorated during the Dussehra festival. Our next stop was Mysore Palace – a palace which one must visit especially during the Dussehra. In our next blog we will take you through the magnificent lightning of the Mysore Palace. Attaching few pics of our marvellous stay in Mysore, a 5 star experience.